How much caffeine are you consuming? Some of us have just one wake-up cup of coffee per day. Others follow their morning cup with a cola or two and some more coffee throughout the day. What’s safe? 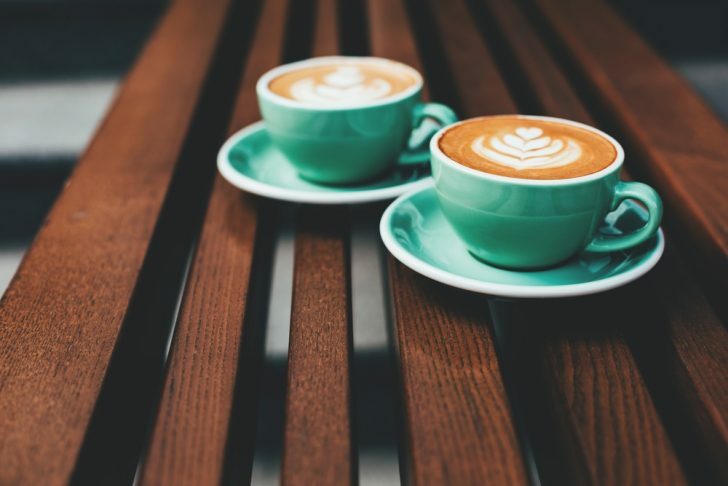 The word from the federal Food and Drug Administration (FDA): Caffeine can be part of a healthy diet for most people, but too much can be harmful. And how much is too much varies from person to person, depending on factors such as body weight, any medications you take, and individual sensitivity. Which kinds of foods and beverages contain caffeine? Caffeine can be found naturally in the plants we use to make coffee, tea and chocolate. It’s also found in some plants used as flavorings, such as guarana, or alternative teas popular in South America, such as yerba mate (Ilex paraguariensis) and Ilex guayusa. Caffeine may also be added as an ingredient to foods and beverages. How do you know how much caffeine a food or beverage contains? Many packaged foods, including beverages and dietary supplements containing caffeine, voluntarily provide information on the label about how much caffeine they contain. If the amount of caffeine isn’t declared on the label of the product, consumers should take care when consuming it for the first time. There are several online databases that provide estimates of caffeine content of certain foods and beverages such as coffee and tea. However, the amount in these brewed beverages can vary depending on such factors as how and where the coffee beans and tea leaves were grown and processed and how the product is prepared. For reference, a 12 ounce can of a caffeinated soft drink typically contains 30 to 40 milligrams of caffeine, an eight-ounce cup of green or black tea 30-50 milligrams, and an 8-ounce cup of coffee closer to 80 to 100 milligrams. Caffeine in energy drinks can range from 40-250 mg per 8 fluid ounces. If a coffee or tea says “decaffeinated,” does that mean it contains no caffeine? No. Decaf coffees and teas have less caffeine than their regular counterparts, but they still contain some caffeine. For example, decaf coffee typically has 2-15 milligrams in an eight-ounce cup. If you react strongly to caffeine in a negative way, you may want to avoid these beverages altogether. For healthy adults, the FDA has cited 400 milligrams a day—that’s about four or five cups of coffee—as an amount not generally associated with dangerous, negative effects. However, there is wide variation in both how sensitive people are to the effects of caffeine and how fast they metabolize it (break it down). Decaf coffees and teas have less caffeine than their regular counterparts, but they still contain some caffeine. Certain conditions tend to make people more sensitive to caffeine’s effects, as can some medications. In addition, if you’re pregnant, trying to become pregnant, or breastfeeding, or are concerned about another condition or medication, talk to your health care provider about whether you need to limit caffeine consumption. The FDA has not set a level for children, but the American Academy of Pediatrics discourages the consumption of caffeine and other stimulants by children and adolescents. How do you know if you’ve consumed more caffeine than you can tolerate? 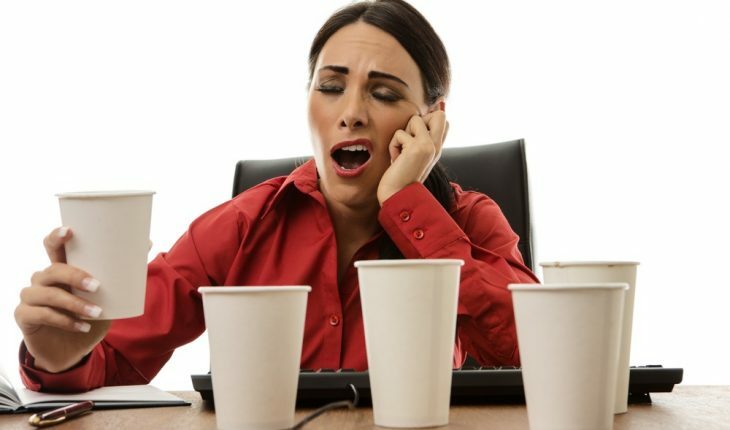 Over-consuming caffeine can cause insomnia, jitters, anxiousness, fast heart rate, upset stomach, nausea, headache, or even a feeling of unhappiness (dysphoria). Does caffeine pose a danger to your health? The FDA estimates toxic effects, like seizures, can be observed with rapid consumption of around 1,200 milligrams of caffeine, or 0.15 tablespoons of pure caffeine. Often labeled as a dietary supplement, this kind of product consists of pure or highly concentrated caffeine in powder or liquid forms and is often marketed in bulk packaging with up to thousands of servings per container, requiring the consumer to measure out a safe serving from what can be a toxic or even lethal amount of bulk product. The risk of caffeine overdose increases as the concentration of caffeine in the product increases, meaning even small dosages of a highly concentrated product could lead to dangerous effects. Just one teaspoon of pure powdered caffeine can contain the same amount of caffeine as 28 cups of coffee, and a half cup of a liquid highly concentrated caffeine product contains the equivalent of more than 20 cups of coffee. These are toxic amounts that can have serious health consequences, including death. Is it okay for kids to consume caffeine? Consult with your health care provider for advice regarding your child’s caffeine consumption. Is drinking a lot of caffeine a substitute for sleep? No. Caffeine is a stimulant, which may cause you to be more alert and awake, but it is not a substitute for sleep. Typically, it can take four to six hours for your body to metabolize half of what you consumed. So, a cup of coffee at dinner may keep you awake at bedtime. How can I cut back on caffeine without causing unpleasant side effects? If you’re used to drinking caffeine-containing beverages every day, and want to cut back, it’s best to do so gradually. Stopping abruptly can cause withdrawal symptoms such as headaches, anxiety, and nervousness. Unlike opioid or alcohol withdrawal, caffeine withdrawal is not considered dangerous, but it can be unpleasant. You may want to talk to your health care provider about how to cut back. For more consumer updates from the FDA, click here.